I have to thank Marla for this lovely memory. The two of us stayed in contact when she moved back home to the US after decades in Europe. From the alps to the tropics, a major change of lifestyle. A semi-retired perfumista living with a bunch of weird plants and animals on a sand dune somewhere in the subtropics. A good day starts with… an embarrassingly large mug of coffee! I keep trying to cut down, but every time I do, some new study comes out saying coffee is really healthy. It is, right? Of course it is! I’d never leave the house without… my car keys. Americans drive everywhere, even to the neighbor’s! I don’t much like driving myself, but when in Rome…. I always feel good when… I’m creating something new. Finding new ways to paint, new techniques for ceramics, or thinking up a new perfume formula really make my day wonderful. If I can’t make things, I get rather grumpy. People avoid me and my plants droop. My favorite thing in the world is… a toss-up between perfume, plants, and paint! So my painting/pottery studio is full of plants and perfumes. That’s my heaven. The next thing I want to buy is… a home essential oil distiller. I’ve tinctured myself silly and I’m ready to move on to the big leagues. The place I always come back to is… my own head. I’m a Buddhist, so every day I meditate and return to my “monkey mind”, trying to figure out how it works. And I have to say I have absolutely no idea…. My personal style is… covered in paint. Even after a fresh mani, I’ll show up at a restaurant with paint splotches all over my fingernails. Paint sploshes on shoes, purse, nose…. My favorite perfume is… Angel, though I don’t wear it much, it’s so strong. My youngest son gave me a bottle after he recovered from a severe illness. Angel reminds me of how, among the people we love, we are each other’s angels. When I travel I always… nervously check to make sure my passport and visas are in order; I can be a bit scatterbrained about packing. My sons have also got me into those handheld game thingies. I can’t imagine standing in a security line at the airport without “Plants vs. Zombies”! To relax I need… solitude, some time to meditate, and to practice Reiki. When I have a bad day… I’ve been described as a “Teddy Bear with Rabies”. Tragic but true! I like to gift people with… the things I love to make, like perfume, soap, jewelry, quilts, and so on. I’m happy to give Reiki on demand. I love receiving handmade gifts too, because they’re from the heart! I don’t care if they’re funny or a little wonky. It’s the love that counts. I find my inspiration… in the natural world, always. In Europe, it was the Alps and the Dolomites. Here, it’s the beach, of course. 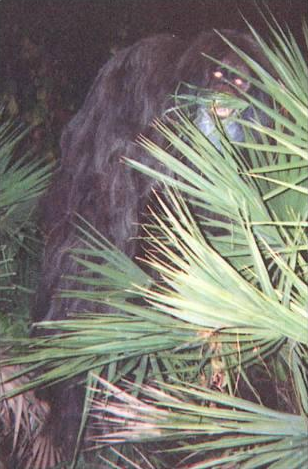 Something I would never want to miss… is spotting a Skunk Ape! This is a wily and elusive cryptid from Central Florida. I’ve smelled them and heard them in the forest (I think), but never captured one on film…. Imagine a tincture of Skunk Ape fur! My last mistake was… ahem! I am like Mary Poppins, practically perfect. I couldn’t make a mistake. Move this interview along, please! On my nightstand I keep… perfume, jewelry, fresh water, a notepad and pen. So in case I have a heart attack at night, or there’s a hurricane, I can get myself looking decent and write my last words before all hell breaks loose and the emergency crews arrive. Not that I’m an anxious person…. The perfect weekend starts with… working in the garden and assurances I don’t have to drive anywhere! My role model is… his Holiness the Dalai Lama. His actions and words always inspire me. I also love James Thurber and Mark Twain for their darkly drole views of American life. I think I could live without Skunk Ape tincture, but I wouln’t mind a bit of Reiki to relax my long-suffering neck and shoulders. Marla is someone I respect immensely for her creativity, she DOES stuff, instead of talking about it. Defintely a role model for me. What qualities do you admire/envy in your friends? What a fascinating person. I would be happy to smell the tincture of cryptid fur. That would be a fantasy accord right? How cool that her son bought her a perfume based on the name as a expression of his feelings (well, that is the way that I read it, assuming that the said son is not a Perfumista). When I make that Skunk Ape tincture, I’ll be sure to send you a vial! I’m working on it already, and who knows, if I keep hiking in Central Florida, I may find some real skunk ape fur to work with…. Marla sounds like a wonderfully fun person to know. The paint flecks are just precious. Thanks, Sandra, I’m hoping to start a trend any day now. She sounds like a fun person. I love weekends where I don’t have to drive anywhere either. I’m happy to see I’m not the only one. We see eye to eye on driving, poodle! I much prefer trains and my own two feet. I love the Teddy bear with rabies image. But why is Marla semi retired? She is still very much a perfumista, or have I missed something? I make all sorts of perfumes and herbal meds, but for friends and family, not commercially. I don’t blog much about perfume anymore, because my own blog on gardening takes up all my blogging time. I always learn so much from Marla’s posts about plants. She really knows her lithops! Thank you so much, Azar! I admire Marla so much. She is so in touch with her creativity and spirituality, as well as nature. Can’t be easy with a busy family life. I tend to think about these things rather than do them. I love the sense of well being I get from essential oils and aromatherpy and wish Marla the best with joining the “big league”. Thank you for your lovely words, Tara! I’m glad you are engaged with eos and aromatherapy as well, it’s a rich and fascinating subject, isn’t it? What a lovely interview about someone I’d love to know. And what a beautiful story about her little boy and Angel (from the link above). Thanks for sharing this with us! Thank you, Kandice! I originally hesitated to share such a personal story on the Internet, but it’s been wonderful to connect to so many good people through it. I remember crying when I read that Angel story for the first time three years ago and I cried again today when I re-read it. But I smiled reading many of the answers. Slightly over 5 feet, Undina. And I’m glad the interview made you smile. Qualities I envy in my friends, those I lack myself. 😉 Like having time and energy to do everything they want to do and not lose the will to do it half-way through. Perfectly put, Ines. I’m exactly the same! Waving at you from across the Pond, Ines! An adorable Person, I still remember Masha from PST, it’s a pity she’s so far away (geographically). Masha, could you pls give me the link to your gardening blog – thanks a lot i.a. Here’s the link, and thanks for your kind comment! I wish I were closer to you all, too. 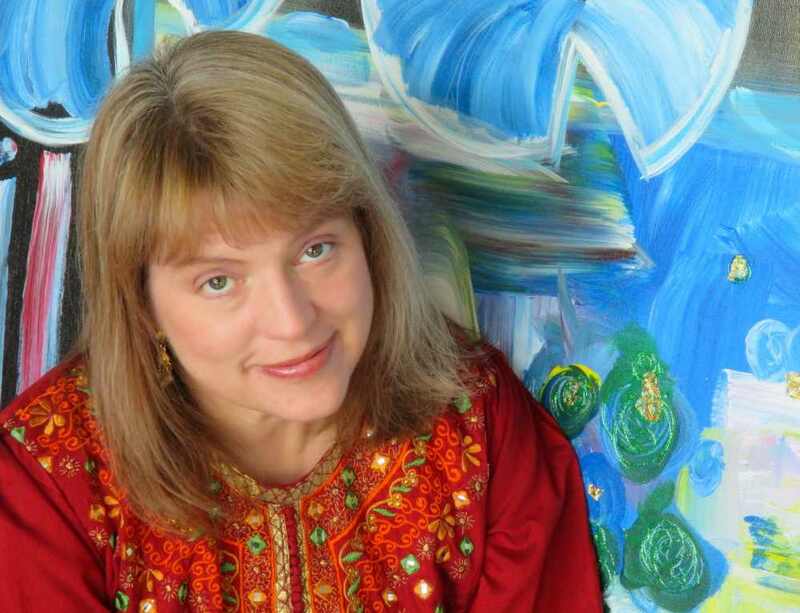 BTW: Birgit was my role model for starting a blog; she gave me the courage to try one of my own!